Shimano's SM-RT66 Rotor hails from their value-packed SLX and Deore product lines. Features include a traditional one piece design and heat dissipating cutouts. 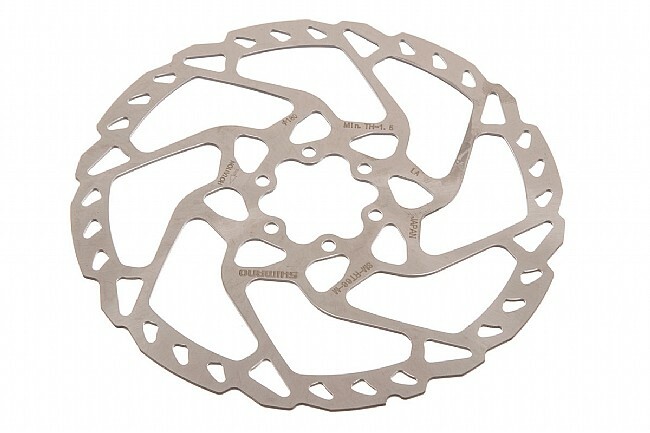 The SM-RT66 Rotors are available in 160mm and 180mm sizes, and compatible with 6-Bolt ISO hubs.